Boost addition and subtraction mastery for Kindergardeners with these fun counting bears math word problem challenge cards! Kids sometimes struggle with word problems, particularly in kindergarten. 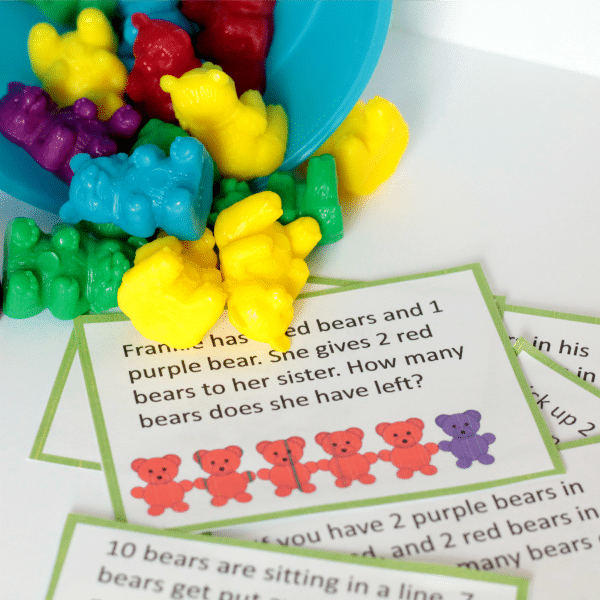 Use these colorful counting bears math challenge cards to help kids explore word problems in a hands-on way. There is little prep involved in these challenge cards, and once laminated, the cards can be used for years to come. You will be directed to the download page. 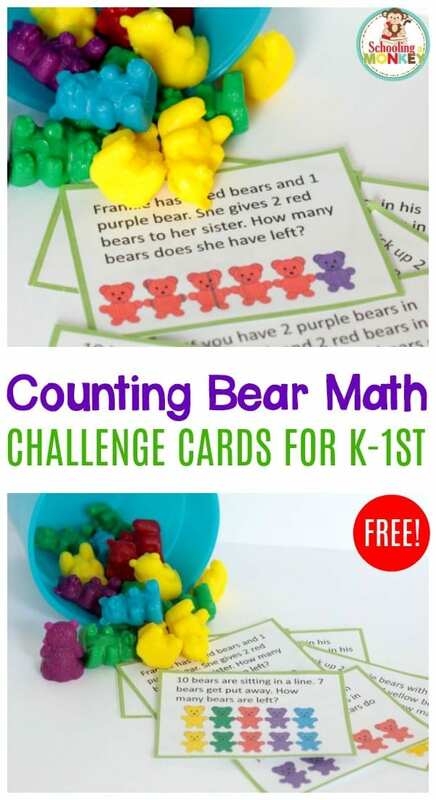 Click “Download: Counting Bears Math Challenge Cards” to save your printable. You will also be sent an e-mail link to download your printable. Each e-mail link is good for three downloads before it expires. Print the challenge cards onto cardstock paper. Laminate for greater durability. Use the cards along with real counting bears to complete each word problem. Place all supplies in a basket and store in your Kindergarten math center. Go here to see the cards in action!